I love how Naturalizer always puts comfort first in their shoe design process. It's really nice to have a go-to pair of shoes that will be snug and relaxing regardless of hours spent in them at work or school. Thank you Naturalizer for having us Midwest bloggers during St. Louis Fashion Week! I will definitely be wearing these boots throughout the winter! 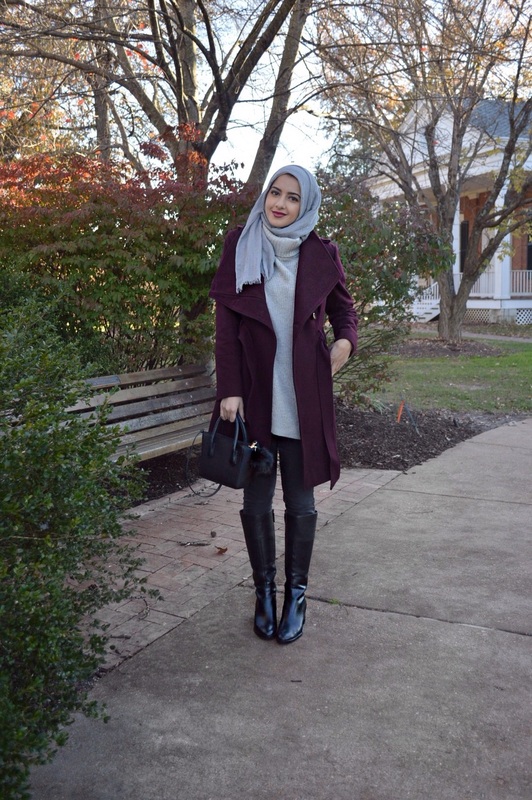 Also, this maroon coat from Guess at Macy's is beyond comfortable and a definite must-have if you're looking to upgrade your coat wardrobe. Scarf: Austere Attire essential ; use the code "summerlove" for 10% off your entire purchase!